I am responsible for the BBC’s online radio streams, from source to delivery to the products that consume them. I am currently running a project called “Audio Factory” to replace the existing equipment and processes that do this. 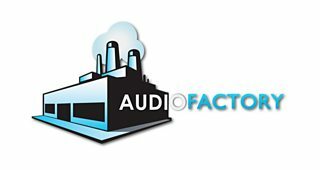 Audio Factory has several aims. Primarily it needs to replace the ageing equipment and infrastructure that encodes and delivers the BBC’s audio streams. This has grown in different ways across the BBC over the years and we need to standardize as we replace. This will help us get rid of weird anomalies such as not being able to listen again to Nations and English Regions programmes on Android devices. We want to make our delivery chains more resilient for every network, improve the audio quality for all stations, have UK and international versions for all stations, have all stations available on the same devices for live and listen again, make our programmes available to download to mobile devices, make them available for thirty days and improve the accuracy of the start times of our listen again programmes. To be consistent to all our stations from Radio 3 to Radio Nan Gaidheal, to Radio Solent, we have had to make choices about which standards we will support and which we will no longer support. BBC radio is currently delivered as SHOUTcast, HLS, RTMP, and windows media. Listen again audio is provided in AAC encoded mp4, mp3 and windows media. For Audio Factory, we have chosen the AAC codec and http streaming as our delivery method for the future. Http streaming includes HLS, HDS and eventually DASH. Radio will stop supporting Windows Media on December 31st. This will have an effect on some online listeners, as we know that some devices cannot support the new http streaming methods or the AAC codec. We have tried to work out the best way to support these listeners. Windows Media consumers are divided into two groups. 1. Listeners who access our streams through aggregating services such as TuneIn. These users should not be affected and be able to listen as they do now. 2. Those using hardware devices such as internet radios. This second group has much less ability to switch to our new formats and many internet radios cannot easily be upgraded to accept the new formats. Continuing to serve Windows Media is too expensive at a time when the BBC is facing significant cuts in its funding. It requires special infrastructure to serve it and the industry is moving away from providing it as an option. We have explored the potential to set up an authentication process to provide downloads to these devices, in a way that would meet our rightsholder agreements, but this would also be complicated and expensive. I appreciate this is cold comfort for those affected, but we have spent a lot of time investigating the issue, and no alternatives presented themselves that were viable in the long term. I am never happy to inconvenience our listeners, but we have had to make a choice and Windows Media is not in our future plans. I will keep you updated in the coming months as the improvements provided by Audio Factory become available.